Now look what you have done! On July 1, I issued an appeal/challenge on behalf of the CanAssist African Relief Trust to raise money to build two classrooms at the Hope School in Mbita, Kenya on the shores of Lake Victoria. The Vancouver-based Sasamat Foundation had offered $10,000 and up to another $5000 to match 2:1 donations that were received from CanAssist supporters to build the school. This is the schoolyard of Hope School in mid August 2012. The site of proposed CanAssist classrooms. By the end of July we had reached our goal and in late August the money to start construction was sent to the Hope School. 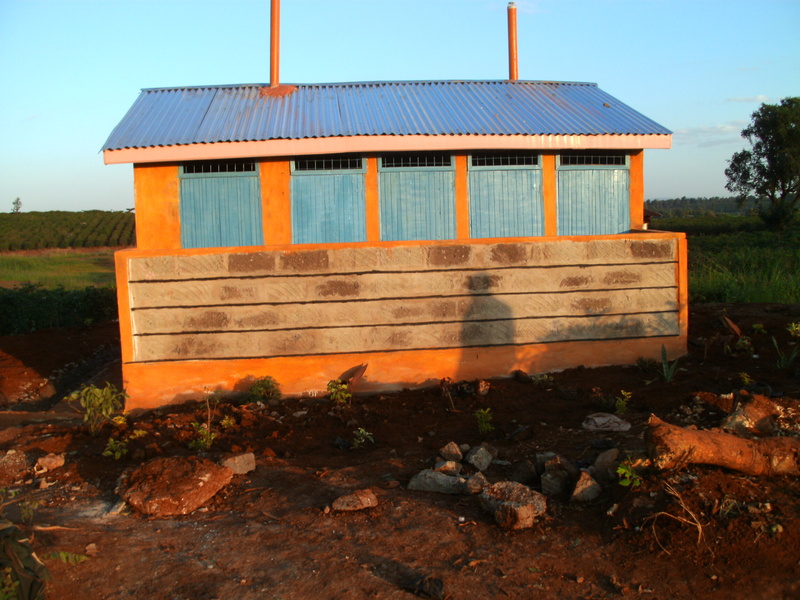 The CanAssist Hope School Classrooms are coming along in leaps and bounds. I could not believe my eyes when I received photos today of the construction under way. 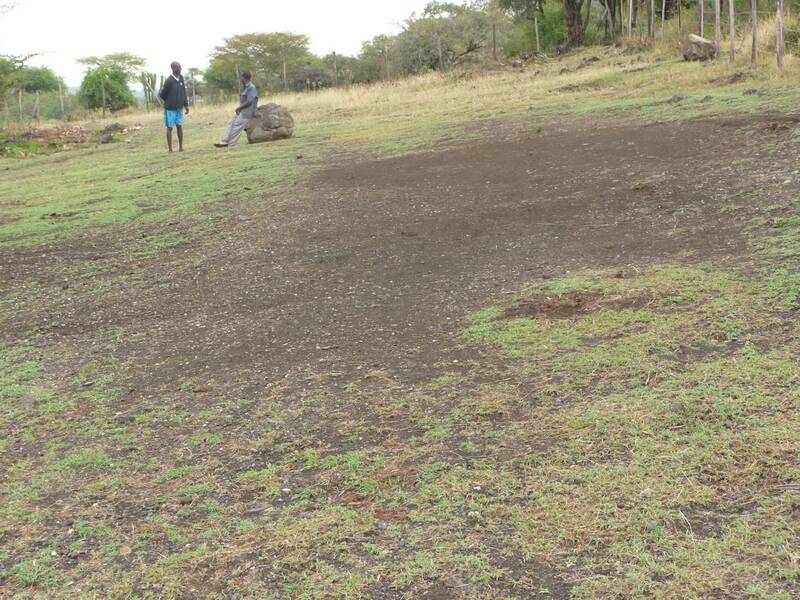 The barren piece of ground in the schoolyard is quickly being converted into a learning setting for the children of this community who have previously been taught in a rudimentary building or under a tree. Most of the children in this neighbourhood are disadvantaged and some have simply not been able to attend school even up to age 9 or 10. 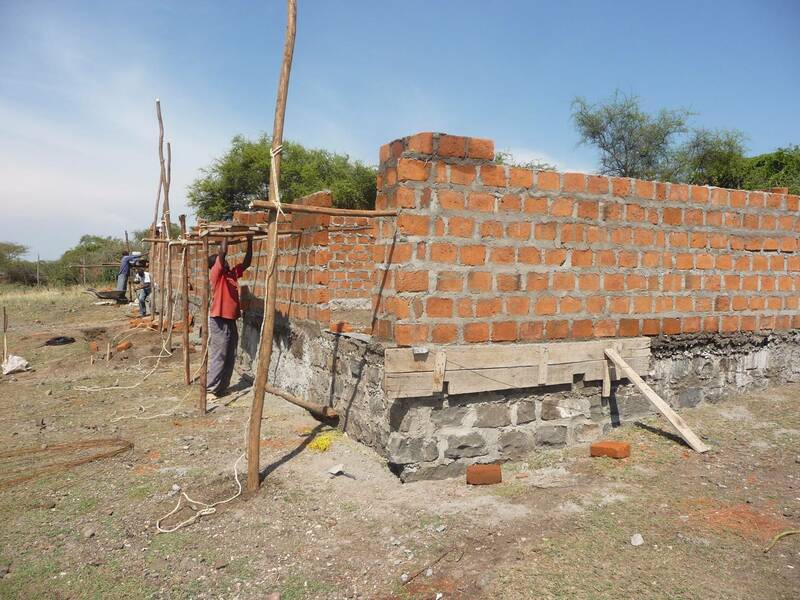 The CanAssist Hope School Classrooms are coming along in leaps and bounds. This project will transform the community for these kids. And as I have mentioned previously, this not only provides the classrooms for the children, it gives some employment to local workmen who struggle to find employment. Thanks to everyone who rose to the challenge. I hope you are gratified with the way that your gift to these children is working so quickly. I look forward to visiting this school in early February and participating in a Grand Opening celebration. My thanks, as well, to Kennedy Onyango for the photos and for the ongoing responsible supervision of this project.